Ontario Bays Initiative works through both easements and acquiring land in-fee as means to help preserve open space in Northern NY. 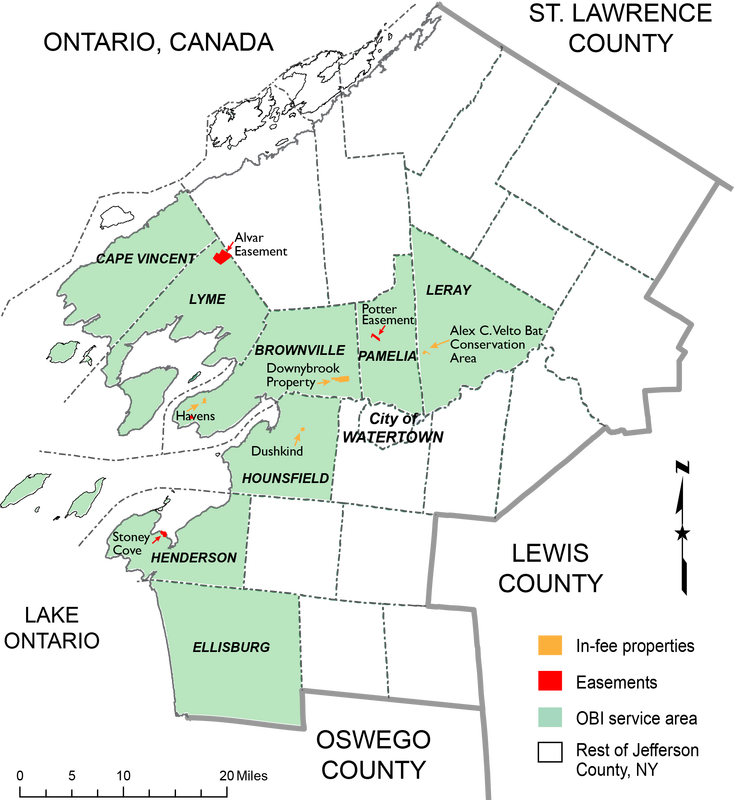 Our lands owned in-fee, including the Alex C. Velto Bat Conservation Area in the Town of LeRay and the Downybrook property in the Town of Brownville are major steps toward that goal. Please check out the links below for more information on some of our easements and in-fee lands.